16. Fly to Belfast for the weekend | One year, one job. Ok, so this is another post about having fun outside of Manchester, but if there’s one thing I’ve brought home from Australia it’s a new found desire to explore more of my own country. As such, last Friday morning I ventured to Manchester Airport for the first time and jumped on an Easyjet flight to Belfast International Airport. The flight was fast – I only managed to listen to five Jack Carty tracks in between take off and landing – and before I knew it I was in Northern Ireland. I caught the bus into the city (£7 single/£10 return) and got chatting to a local lady who kindly instructed me how to walk from the station to Queen’s Quarter. Fortunately her directions got me to my hotel quickly and by 11am I was walking back into the city centre to do some exploring. I was hungry (quelle surprise!) and in need of cake so I tweeted the lovely folks at Discover Ireland to seek out their recommendations. 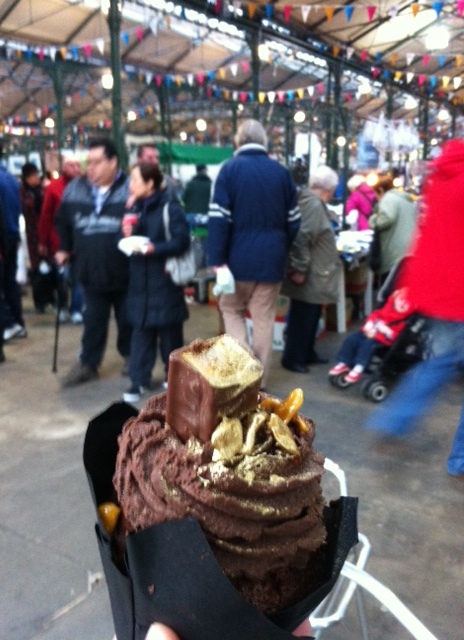 With heaps of useful tweets sent in my direction I headed off to St George’s Market and sought out sweet salvation with a huge crunchie cupcake. The market was a great place to kill half an hour – so much so that I ended up returning there with the rest of my family on Sunday morning. Cake from St George’s Market. 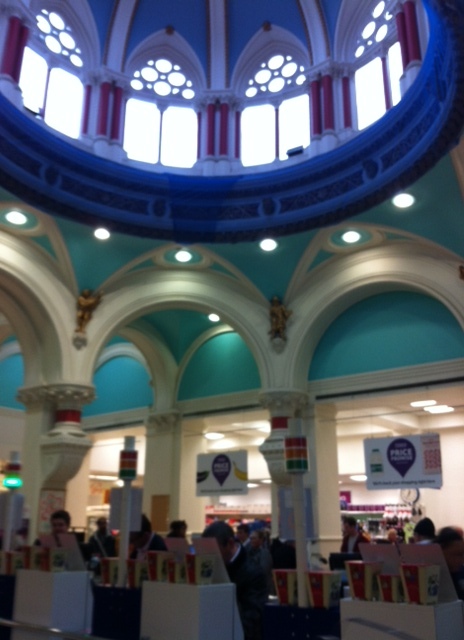 After the market I wandered through the shopping district (visiting the most ornate Tesco Express ever) and met up with a friend from first year who continued my unique tour of the city with highlights including the City Hall, Botanic Gardens and the abortion clinic. I said it was unique, right? Anyway, it was lovely to catch up over some bruschetta before I returned to the hotel to meet my family for dinner after they’d flown in from Stansted. Saturday was a clear(ish), dry(ish) day and it was a great day to head up the coast in a hire car to explore the Giant’s Causeway and see what else the North Coast had to offer. Whilst we didn’t make it to the scary-looking Carrick-a-Rede Rope Bridge, we did visit a castle and see Port Rush and Port Stewart in their out-of-season glory. 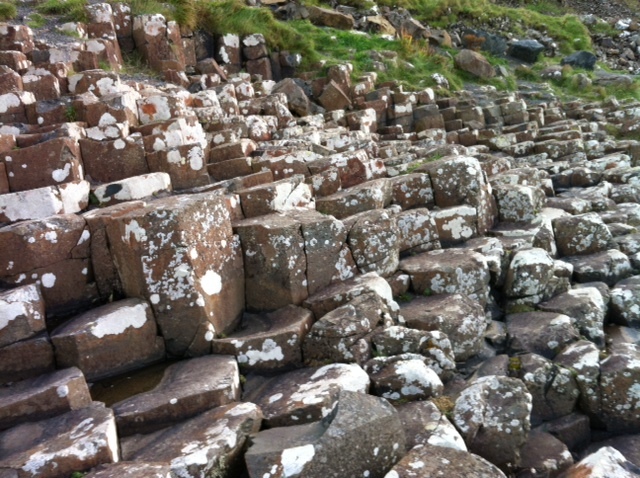 The Giant’s Causeway was lovely and the tessellation of the hexagons totally reignited my love of high school maths lessons. The landscape was stunning and my photos really don’t do it justice. 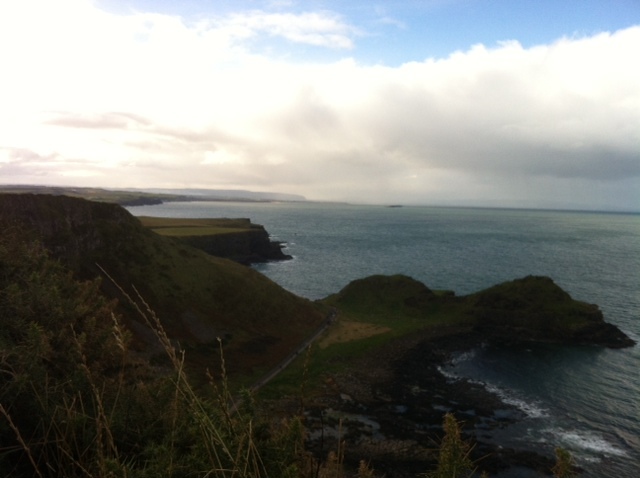 Plus our National Trust membership meant entry to the Causeway was free so that was even better. 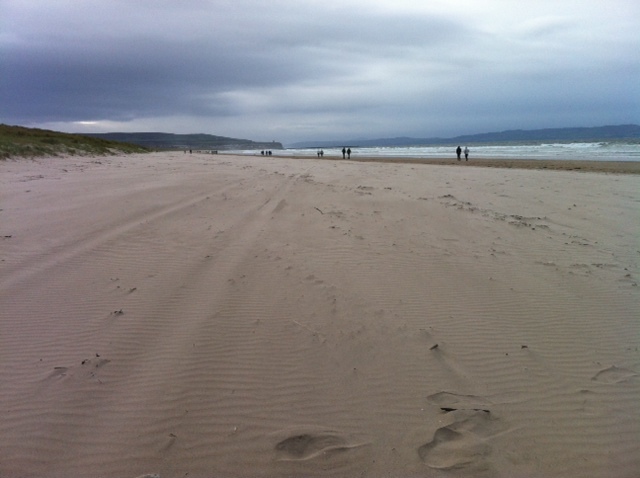 A lovely beach on the North Coast. Not too disimilar from walking along Brighton Beach, VIC on a Winter’s day. After a busy day we headed back to a family friends’ house in Holywood for Chinese Takeaway and to watch the abomination that was Celebrity Pointless – a complete destruction of everything that is so genius about the original. After another breakfast at the hotel consuming as much as possible, we headed into the city again on Sunday. Back at the market the siblings enjoyed the macarons stall before we wandered around the city waiting for everything else to open. 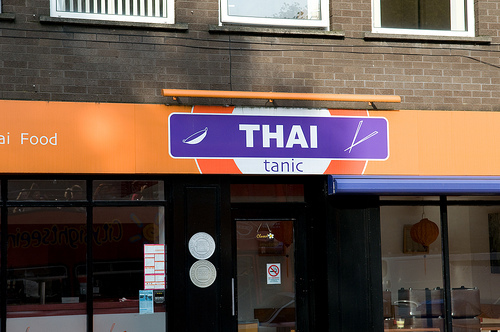 (Nothing seems to open in Belfast until 1pm on a Sunday.) We found another smaller market in Victoria Square where I bought a great Oreo stuffed chocolate chip cookie – yes, that’s right, an Oreo inside a cookie – before heading up to the stop of the shopping centre for a great view of the city. A great view it was, but the viewing platform definitely shook a lot and so I was quick to descend back down to the ground in the slightly-less-scary glass lift. All in all, it was a lovely weekend away – made even better for the fact that my Dad had won airfares, transfers and accommodation for two people. So many, many thanks to my lovely father and Tourism Ireland. It’s a castle! Well, half of one anyway. 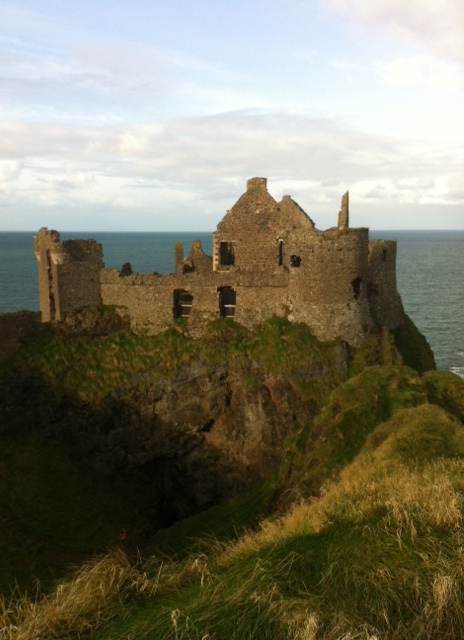 Thank you for sharing your great adventure in Northern Ireland with us! Glad to hear our tips were useful and appreciated 🙂 Especially your “sweet salvation” at St Georges Market, the cupcakes there are simply delicious. The pictures you took of the Giant’s Causeway are amazing! It is a real wonder of nature and I am sure that the landscape took your breath away!